Over the last few years, Tanzania has witnessed an increased usage and awareness of e-Government services. This is welcome news to all stakeholders in ensuring that services offered by the government and communications between the government and citizens are efficient and effective. Despite the good news, the reality in most cases has been that the e-Government projects are implemented as technical projects (mostly employing techno-centric approaches), ignoring other important considerations, with the implicit assumption that they will be used by the citizens. 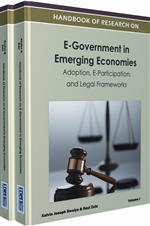 In this chapter, the authors conducted a study to assess the quality of provision, level of awareness, and degree of usage of e-Government services in Tanzania. Further, the study presents the challenges and opportunities which the Tanzanian Government faces in realizing its e-Government vision. It demonstrates that the e-Government projects are community projects and their design and implementation must take into account contextual, cultural, and environmental factors. E-Government is here to stay. Recent developments in technology, mobile devices, and Internet communications suggest that more end users will be connected as time goes on. It is widely accepted that in the future, it is going to be extremely difficult to stay disconnected and staying connected will be less of our choice. The move towards Web Operating Systems is another interesting development. The confluence of all these developments will make e-Government a reality in the near future in all corners of the world. Thus, all countries should understand the e-Government phenomenon (its conceptualization, design, deployment, implementation, monitoring, and evaluation) and how important it is for their survival if they are going to become knowledge economies in the 21st century. Several studies that have assessed the utility and Return on Investment (ROI) of e-Government projects suggest that a more holistic design approach which will take into account issues of culture, context and environment factors is a better way of ensuring the probable success of e-Government projects (Ulrike, Rivett, & Loudon, 2010; Rahman, 2007). These studies clearly show that when e-Government projects are further customized to the requirements of the country concerned, citizens make use of them more (Driss Kettani & Mahdi, 2008). It is also becoming common knowledge that parachuting these projects from other countries where they have been implemented successfully leads to a lot of undesirable results. An example of a successful implementation of an e-Government project has been the Madrid Participa initiative (Barrat & Reniu 2004; 2005). This project has been shortlisted as finalist for the European e-Government Awards 2007, organised by the European Commission. Another finalist in the same awards was the ePetitions initiative e-Governmeof the UK (http://www.epractice.eu/cases/1021). These are some of successful e-Government projects which, if migrated to Tanzania, might not be able to take off successfully due to the difference in the contextual environments of the two areas. The e-Government projects must result in change of working habits of civil servants towards being more responsive and efficient in their public delivery endeavors. This should include the change in Government processes, workflow and decision making. While these changes have been taking place in a lot of African countries as part of public reform programs, the changes made do not go far enough to provide the necessary and sufficient conditions for the e-Government projects to be successful (Wescott, 1999). These projects must cater for the local communities, who are also expected to be involved in all the different phases of e-Government project implementation cycle: from strategy conceptualization and formation, design and implementation (Chango, 2007; Schuppan, 2009). The challenge of involving the local communities is significant as these communities are characterized by old age population, low education, lower Information Communication Technology (ICT) usage, low income levels and resistance to change as e-Government is not one of their priorities in order to survive (TGNP, 2006). Mobile Payment: Also known as Mobile wallet is an alternative payment method to the traditional payment systems where cash, cheques or credit cards are the medium of payment. Mobile payment entails a consumer utilizing mobile phone or any other convertible mobile ICT gadget to pay for goods and services. Models for mobile payments may include premium SMS based transactional payments, direct mobile billing, and Contactless Near Field Communication (NFC). Web 2.0: Is associated with Web applications that facilitate participatory information sharing, interoperability, user-centered design, and collaboration on the World Wide Web. Government 2.0: Is the use of technology—especially the collaborative technologies at the heart of Web 2.0—to better solve collective problems at a city, national, and international level. E-payment: Is any digital financial payment transaction involving currency transfer between two or more parties. E-Services: Refers to deeds, efforts or performances whose delivery is mediated by ICTs. E-Readiness: Is the ability to use ICTs to develop one’s economy, to foster one’s welfare, and better participate in the global socio-economic value chains..
M-Government: Is the extension of e-Government to mobile ICT platforms, as well as the strategic use of government services and applications which are only possible using mobile devices and wireless Internet infrastructure. The government services are available “anytime, anywhere” and that the ubiquity of these mobile devices mandates their utilization in government functions. E-participation: Is the use of ICT-supported participation in processes involved in government and governance. Processes may include administration, service delivery, decision making and policy making. E-Democracy: Refers to the use of ICTs and strategies in political and governance processes. Democratic actors and sectors in this context include governments, elected officials, the media, political organizations, and citizens/voters. E-Democracy aims for broader and more active citizen participation enabled by the Internet, mobile communications, and other technologies in today’s representative democracy, as well as through more participatory or direct forms of citizen involvement in addressing public challenges. Digital Citizen: Refers to a person that participates in different socio-econoic frameworks using ICTs. To qualify for the unofficial title of digital citizen, a person must have the requisite ICT skills and knowledge to interact with private and organizations through means of “digital” tools such as computers or mobile phones.